Brief synopsis: After Edgar Freemantle's near-death experience featuring Reba's Fancy and a crane (the machine, not the bird), he loses his arm and his wife and decides to spend a sabbatical on the Florida coast in Duma Key. While there, he gets back into creating art - a small hobby he had as a child. But something's not quite right about his artwork. And something's not quite right about Duma Key either. 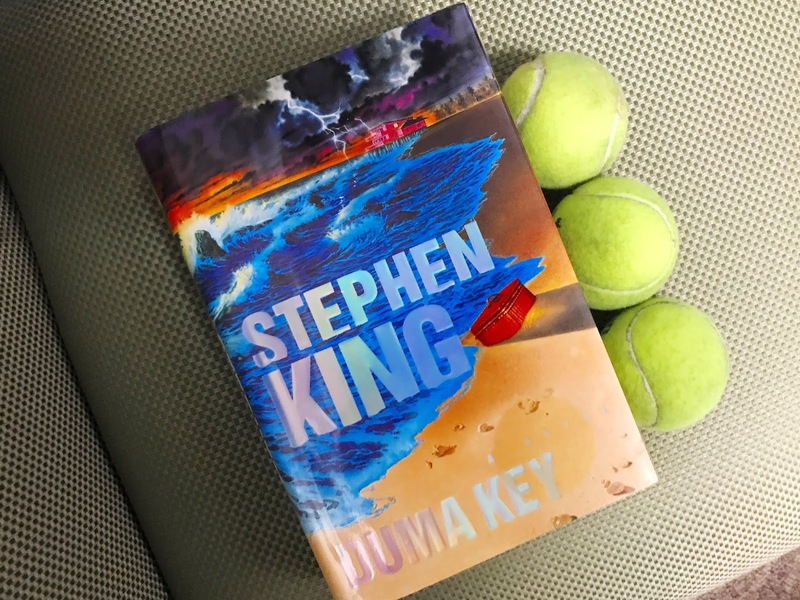 Reading Duma Key has been one the most enjoyable (and frightening) reading experiences for me this entire year. This isn't a Stephen King book I've heard a lot of praise for. In fact, it's not a Stephen King book I'd really ever heard anything about, but I once bought it (along with about seven other King books) at the Goodwill, and a first edition nonetheless. Apparently a King fan had recently had a purge of books. Anyways, when I got to Googling best-sellers for 2008, Duma Key was on the list and on my bookshelf, so it was the perfect chance to get to reading. Plus, at 611 pages, it's a pretty tame Stephen King novel, if I do say so myself. Anyways, I immediately connected to Edgar. The writing was smooth, the story intense. Honestly, I was a couple hundred pages into the book wondering if it was actually a horror novel, or even a thriller, before the terror started to set in. There was definitely supernatural terror, but there were also some truly realistic type fears within the book, which I think made it that much more frightening. Stephen King really drives it home with his writing, and this one was no different. I've since read some reviews about this not being quite like older King, but I thought this novel was absolutely fantastic. It's been days and I'm still thinking about it. I'm still missing the characters - Edgar and Wireman, such great buddies. The book made me actually laugh-out-loud and cry, not (just) from fear, but also because the relationships in the book and the feel-goods, too. The novel also gave me nightmares (why must I read immediately before going to sleep?). There are scenes within the pages that are monster-scares, but there are other scenes that are terrifying in their own way simply by the two words ending a chapter. Look, I really loved this book (if you couldn't tell), and I'm so surprised it's not a more well-known King novel. I would really recommend it, though, but it was truly a fantastic read.